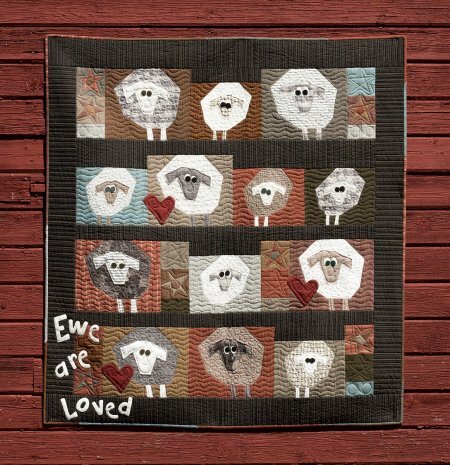 Stop in and see some of the sheep blocks made up! This is going to be tons of fun! We will be holding a fun stack'n'whack class in October! Check out the information below! 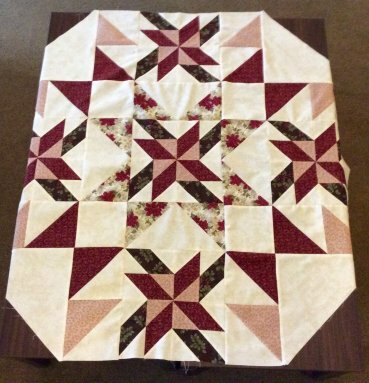 Project size: 50" x 54"
Because the stack'n'whack method takes extra time this will be a Friday evening & all day Saturday class! Space is limited so be sure to sign up early! Please remember the class fee is to hold your seat and is non-refundable. A beautiful NEW sample made from the Winterlude book is made up. Tartan Terrace makes up a beautiful octagon shaped table topper! Grab a book and choose the fabrics you love for this project! We've also made up the quick and easy Holiday Charms tablerunner from the Lucky Charms book! This easy to sew piece uses raw edge applique and one charm pack (we used the Christmas Gatherings charm pack)! Stop by and see it today! Wooly Block Adventure begins soon! 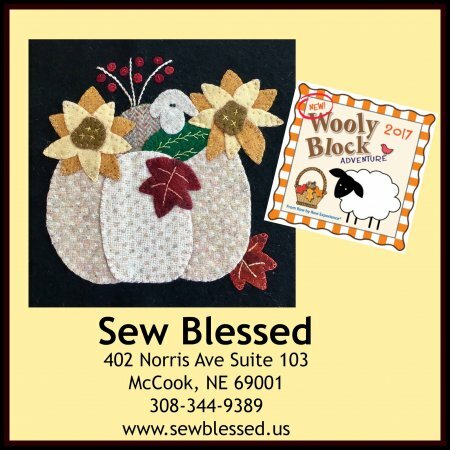 Just like before, simply visit any participating Wooly Block Adventure™ store this fall October 16 - December 15, 2017 to receive one 8-inch wool appliqué block pattern for free! But wait... visiting the shop is not the only way to receive a shop’s Wooly Block pattern. Patterns and kits may be purchased online and by mail order during the event! You do not need to be near participating shops to have fun and collect with Wooly! I hope you all have a wonderful weekend! Stop in and check out the fabulous new arrivals!